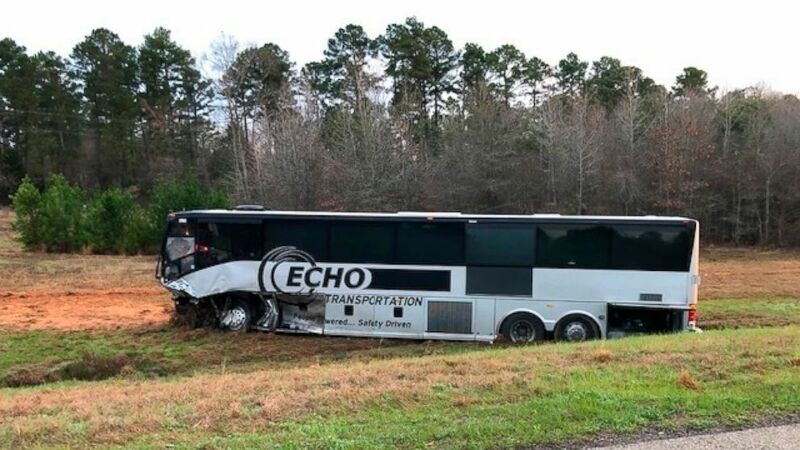 Police say two men have died after their pickup truck collided in East Texas with a charter bus carrying students returning from Florida. Police say the pickup's driver was 22-year-old Jeffrey Dalton Aynesworth of Rusk. The passenger was 24-year-old Payton Joseph Raymond of Flint. This story has been corrected to show the pickup driver's first name is Jeffrey, not Jeffery.